Earlier in March, The Raven‘s restaurant and bar closed abruptly due to “sudden repair issues.” With many patrons now left without the ritual of pre-gaming at the New Hope Lodge‘s Cub Room and then walking across the street for a less laid back evening at the Raven, workers at the Cub Room, often nicknamed, “the Raven’s living room,” have picked up the slack for the greater LBGT community here. Starting on Monday, April 1, the Cub Room bar will open at 11 a.m. on weekdays, changing from their usual 5 p.m. start time. 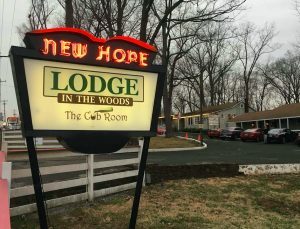 Joey Leone, who works in the front office of the New Hope Lodge, said the business received many requests from guests to be open longer and did not know the status of the Raven. 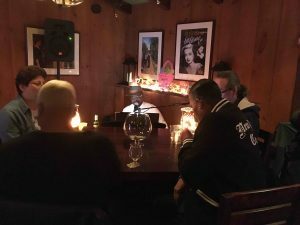 When Lodge owner Scott DeWitt, (who used to also own the Raven), Leone and other employees looked at the bigger picture and discussed what they could do for the community, Leone said, “What do we have to lose?” referring to the expanding hours. “When the Raven closed before [in 2008] we all went down to what’s now the Clarion. But this time, it was sudden and I was like, what do we do?” said Cub Room bartender Scott Davis. 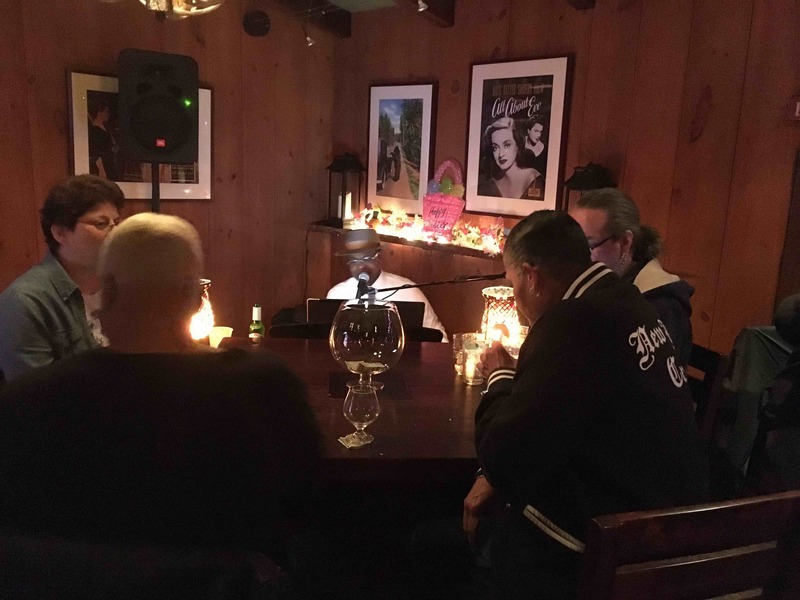 The Cub Room has live entertainment three times a week and is usually very crowded on Friday nights. But for the past few weeks, there has been a larger, more consistent crowd that now lingers much later. Davis added that the Cub Room has hired two bartenders from the Raven and the new hours were also built in to support them. “We’re here to take care of the community, because that’s what made us. We’re family,” he emphasized. Its nice to hear/read something good in the news for a change. The Cub Room is fun and welcoming and always has been really. Scott & Zack are great hosts. Such a shame the Raven is no more, but we must close that chapter and move on to the next. I witnessed something rather disturbing at the Cub Room yesterday.A group of elite Snobs one whose name starts with a S come in and demand to have table service.In the past I have seen the S actually click his fingers at Joe Leone when at that time he was ill.This group gives a bad name to all Gay people because they themselves would HOWL if they were treated that way. ELITE SNOBS GET OFF YOUR BONY ASSES AND PICK UP YOUR DRINKS FROM THE BAR.I know this may fall on deft ears but bartenders do not yet them treat you like dirt. With Raven temporarily closed???? Let us hope the past Management is no where near IF it tries to reopen. No respect for workers and they would say TRUST ME it will be different as they rob the safe for money and pay for implants.New broom sweeps clean.